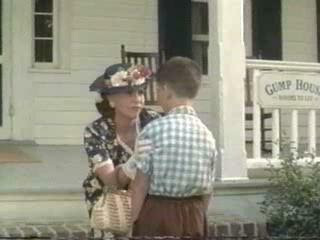 The wisdom of the famed Alabama philosopher, Mrs. Gump: "Stupid is as stupid does, Forrest." Most every war happens because of miscalculation about means and ends. The more the enemies of liberty -- the beasts in human form with their insatiable appetites for collectivist tyranny -- sense weakness, the bolder they become. Thus, tyranny by executive fiat concerning firearms SEEMS to be a non-starter and a political death wish by every modern example (just ask Bill Clinton why his party lost control of the House of Representatives in 1994 or Al Gore why he lost the 2000 election) but then, “you can’t take stupid off the table.” It all depends upon whether Obama is trying to establish a traditional political "legacy" or whether the Kenyan Candidate is out to merely destroy the country. If it is the latter, then his "stupidity" doesn't look so stupid after all. It is a fools errand to dismiss Barry's actions as "stupid". Evil is backward, it is loathing, it is foolish, it is dishonest and it is harmful but it is never, ever, stupid. As in, if they collectivists are stupid enough to try and disarm us, just the fact it is such a incredibly stupid thing to try is enough to make a man shoot the stupid sonofabitches. Anybody who is stupid enough to try that in this country has no legitimacy to be in a position where access to that kind of power that can be corrupted for the purpose of disarming honest law abiding men and needs to be shot dead.